Developing digital products is expensive. Launching your first digital product is fraught with worries and tension. If you’re sinking your life savings into your product when is the right time to launch? And what should you consider to try and maximize the UX and thus the potential returns on your investment? The best way to launch a digital product is to try and come up with the simplest product that you can – that people will actually pay for. That means doing some user research into your product idea; what is it that people desperately need today that would add immediate value to their lives? All the nice-to-haves and maybes can wait for future releases. 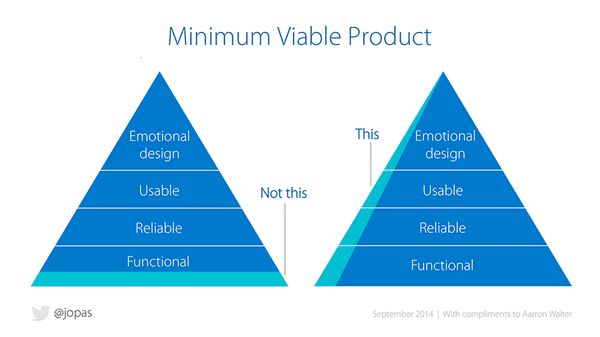 A minimum viable product allows you to get a launch completed faster, at less cost with less risk. You need to choose your pricing model for your minimum viable product carefully. It’s a common flaw of digital product launches to give away the product for less than you intend to charge for it in the long run. This strategy is OK if it covers your costs and brings a little profit (in the hopes that more will be made later) but if it’s a loss maker – you’re on dangerous ground. What happens if your launch is wildly successful? What if you sell 100,000 copies of your product at a $5 loss per product? You’re probably out of business. If you intend to compete on price, you want to define a different market from successful competitor offerings. If you can take a major enterprise product and come up with a small business version – then you can probably succeed using price competition. But entering the major enterprise market means fighting an established and profitable competitor with a larger marketing budget than you have. At this point a low-price strategy looks like a bad idea. If you implement a free to use model – you need to be certain that paying customers are going to cover the costs of supporting this model. If they’re not; it might be better to abandon trial/free-use and stick to paying customers at launch. You can add free to use later if the returns justify it. There’s a good argument that your first product should be in the business-to-business market space. Why? Because businesses will spend more money and are often willing to take a risk on a new product that seems to meet a specific need; in the hopes that future iterations will deliver exactly what they want. It’s easier for a purchaser in a corporate environment to quantify the value of your offering and pay a price tag that’s consummate with the benefits.